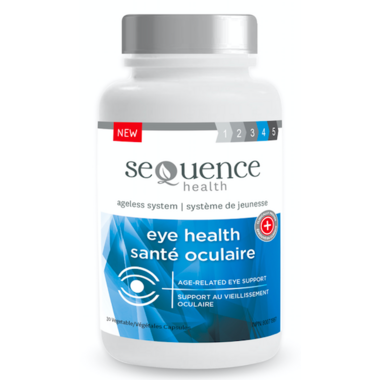 Made with Clinically Proven Nutrients for Age-Related Eye Support. Recommended Dose: Adults: Swallow 1 capsule once daily. Recommended Use:Helps maintain eyesight and support eye health in conditions, such as cataracts and age-related macular degeneration. Source of antioxidants. Medicinal Ingredients per capsule: Bilberry fruit extract (Vaccinium myrtillus from Europe) 100 mg (Standardized to contain 25% anthocyanidins) (120:1 extract, equivalent to 12000 mg of dried fruit); Vitamin C (L-ascorbic acid) 100 mg; Taurine (2-Aminoethanesulfonic acid) 50 mg; Lutein esters (Tagetes erecta, flower, BiolutTM) 12 mg; Zinc (Zinc citrate) 10 mg; Zeaxanthin (Tagetes erecta – herb flowering oleoresin) 0.2667; Vitamin D3 (Cholecalciferol) 10 mcg (400 IU). Non-Medicinal Ingredients: Silicon dioxide, magnesium stearate, microcrystalline cellulose, hypromellose. Does NOT contain gluten, wheat, dairy or soy.